MY KIDS HEART EVERY REASON TO DRESS UP. THANK YOU HALLOWEEN FOR BEING YOU. 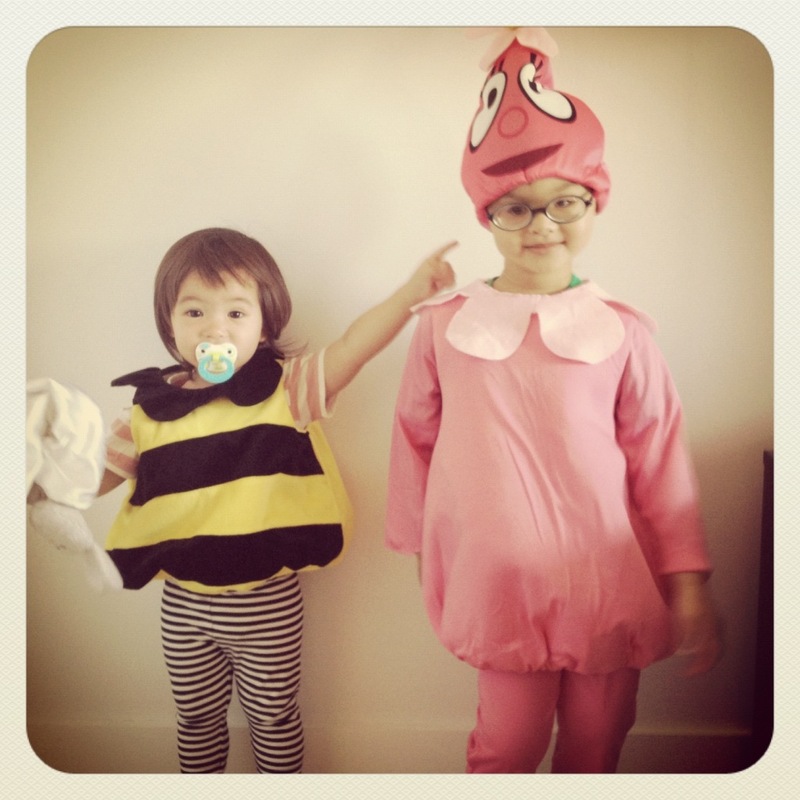 5) Matilda wearing her last year’s bee costume. Milo wearing Matilda’s this year’s Foofa costume. 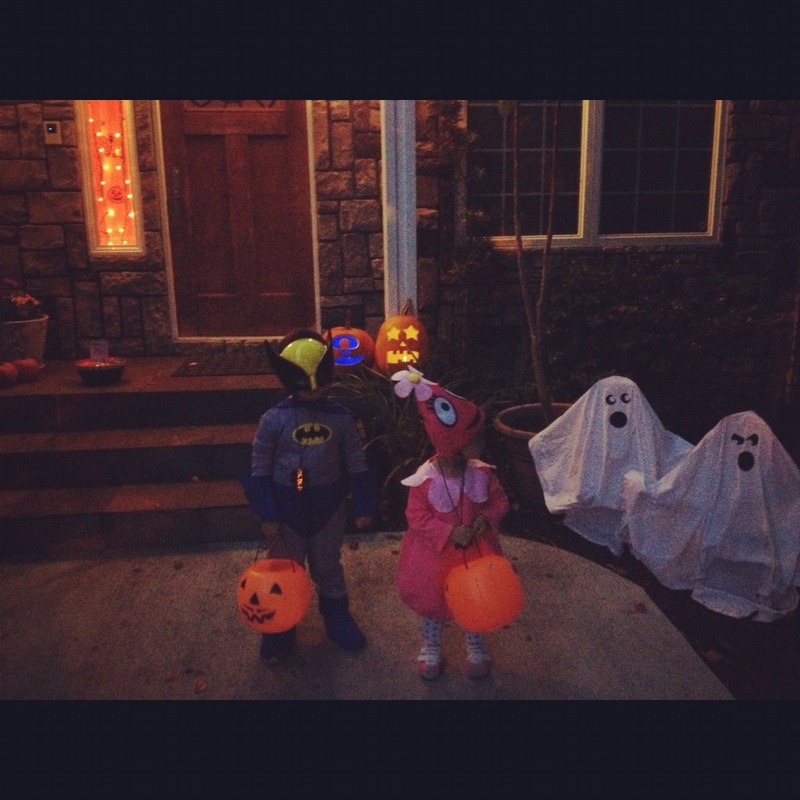 6) This all happened after trick-or-treating when they were giving out candies to the trick-or-treaters. Milo as Chewbacca and Matilda just gave up on wearing pants. 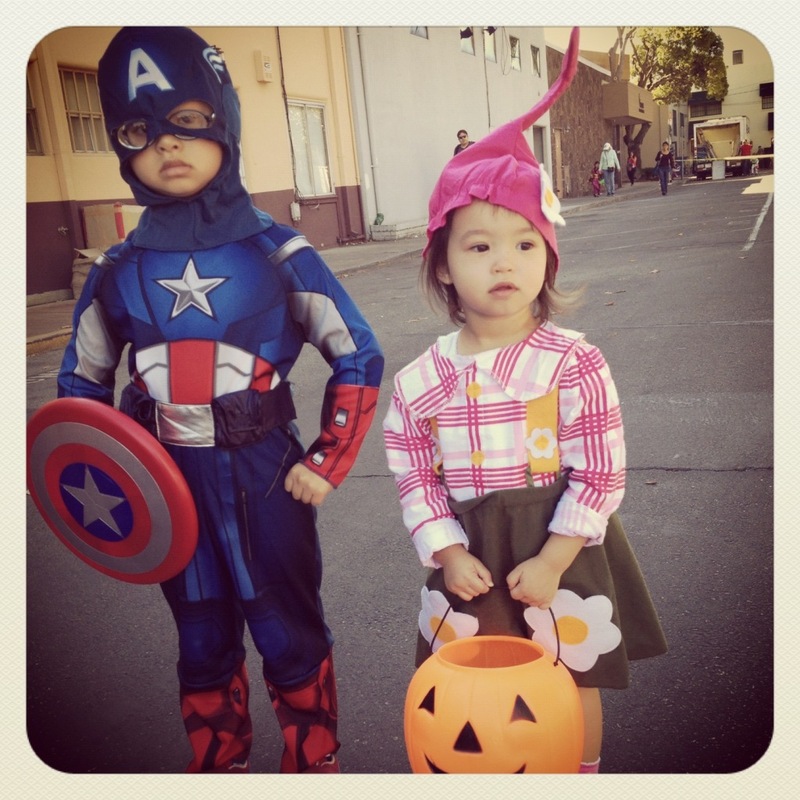 7) Milo as Captain America and Matilda as a garden gnome for a Halloween parade in town. 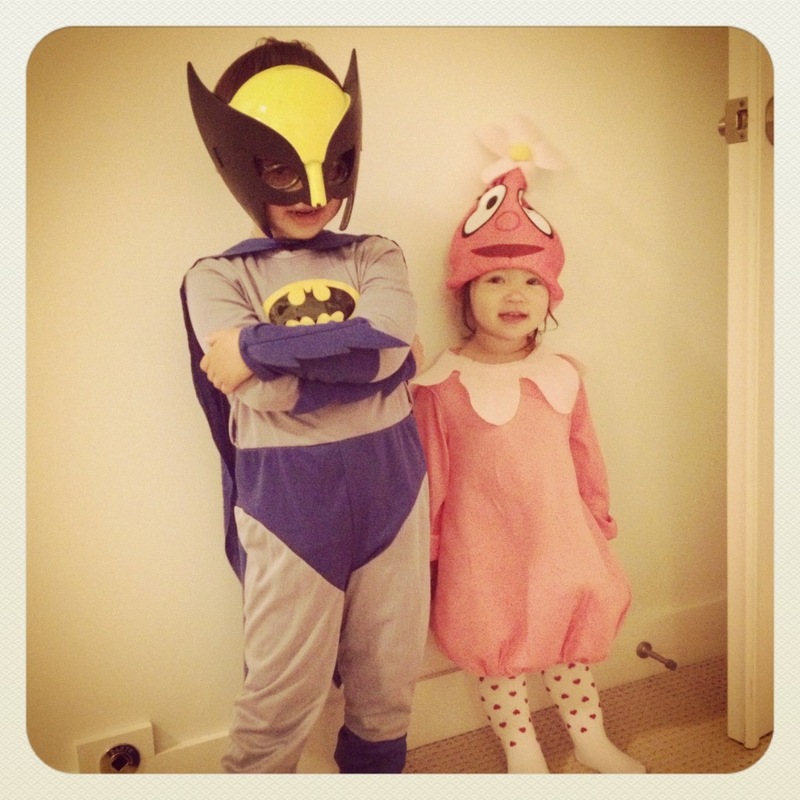 8) On the actual Halloween night, Milo decided to be Batman Wolverine and Matilda decided to be Foofa. 9) We were on the way from our house to trick-or-treat. 10) Milo as Batman when I took him to walk around on the day of Halloween. 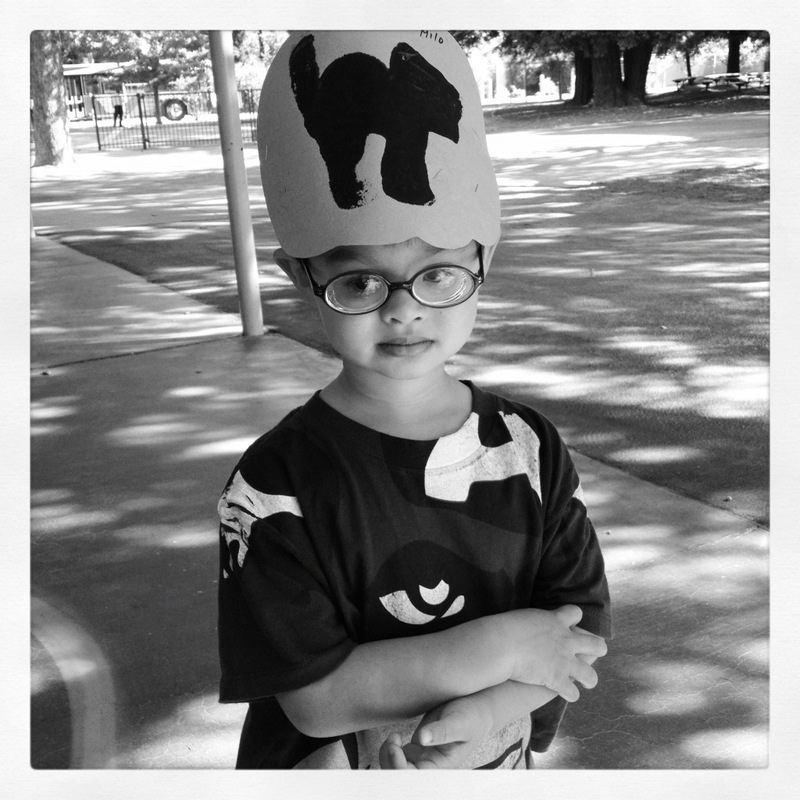 11) Milo with his Halloween crafty hat the week before Halloween. 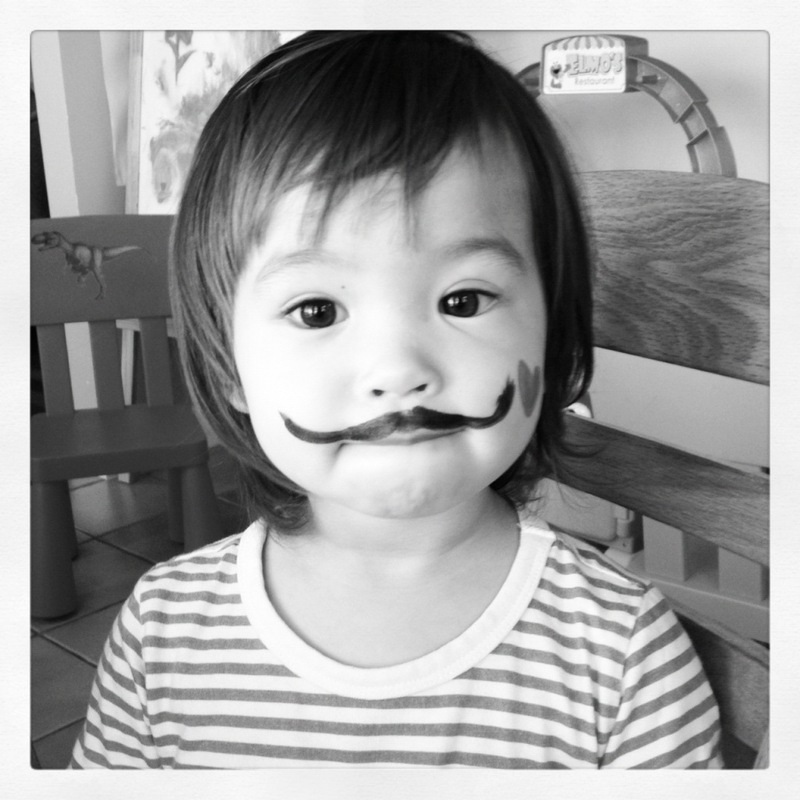 12) Matilda sporting her mustache. Halloween stayed and finally went bye-bye. We pretty much got excited about Halloween a month or so before the actual day and we made the mistake of asking Milo what he wanted to be for Halloween. 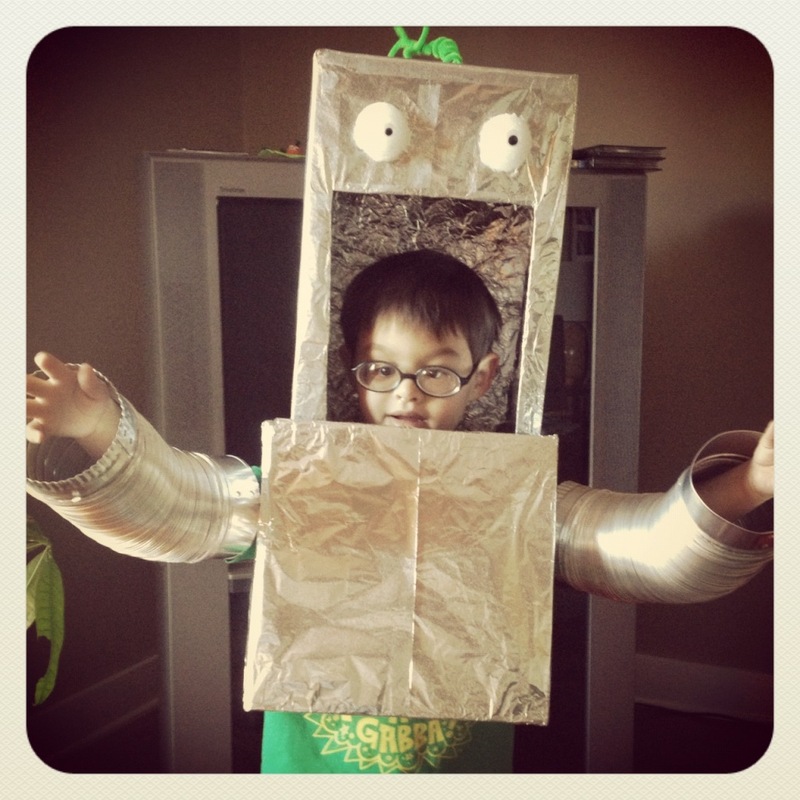 It switched in a daily basis and when we took him shopping 3 weeks before the actual day, he decided he wanted to be Plex from YoGabbaGabba. Unfortunately the largest size they had was 3-4 years old. So, Milo picked Batman. For the next week or so, he bounced from Batman to Antman to Hawkeye and all the other superheroes. We told him that he needed to make up his mind and Captain America was his final decision. 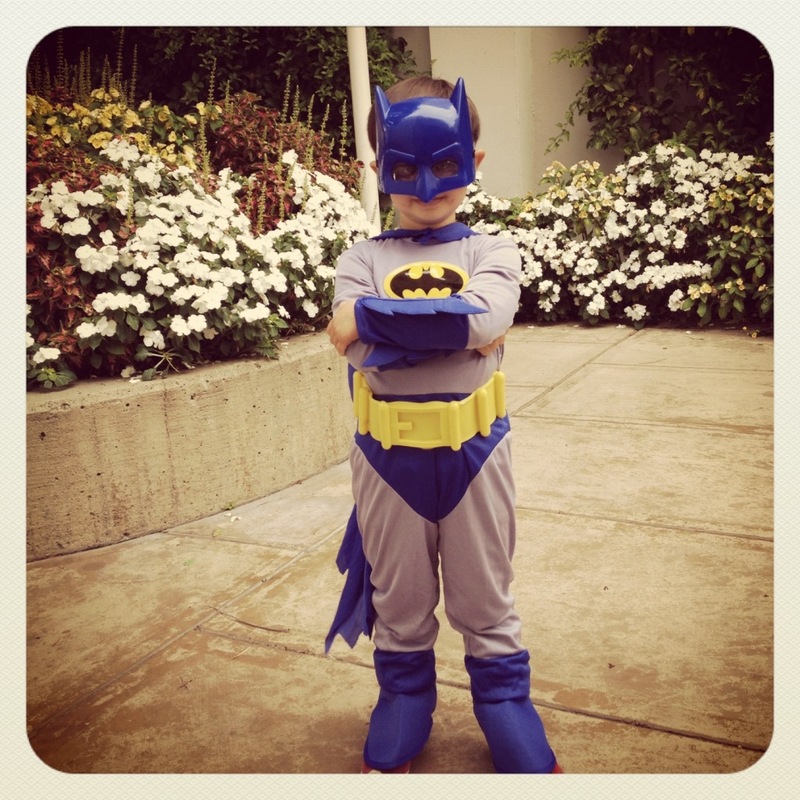 (We kept the Batman costume since Milo dresses up pretty often.) 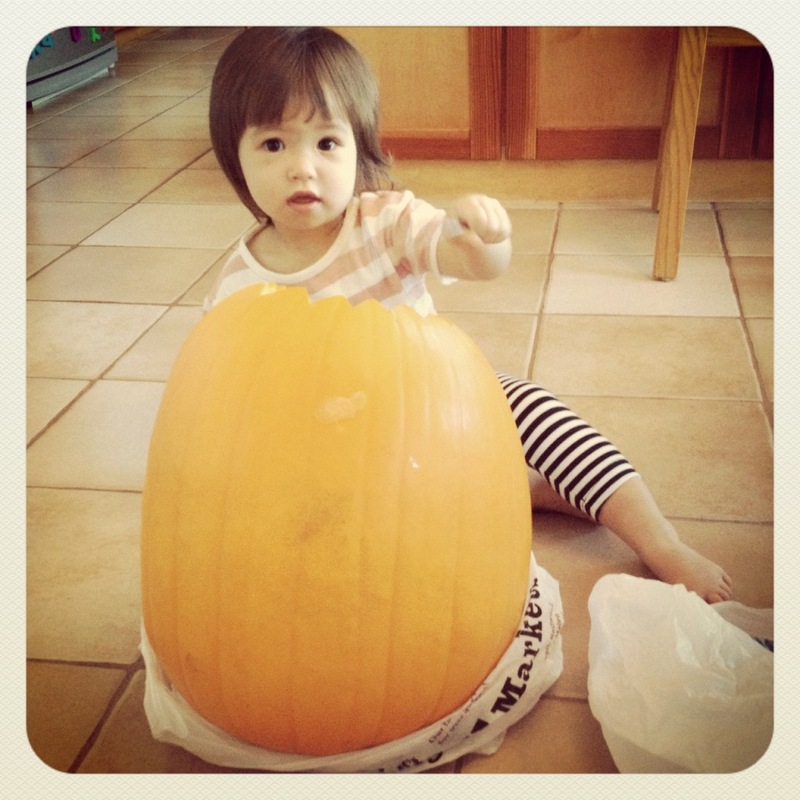 Matilda didn’t really care who she was going to be and being only 20months old, we got to decide for her. We chose Foofa from YoGabbaGabba. We would put Matilda in her costume several times a week to get her used to it but she really didnt care for it that much, so, I got her a garden gnome costume since its just a dress and she would be better about wearing it. Both kids’s school had a Halloween party and we took the kids to town for the annual Halloween parade follow by trick-or-treating. We went to a pumpkin patch and did all the bouncy houses, haunted houses, pony riding and the train ride. 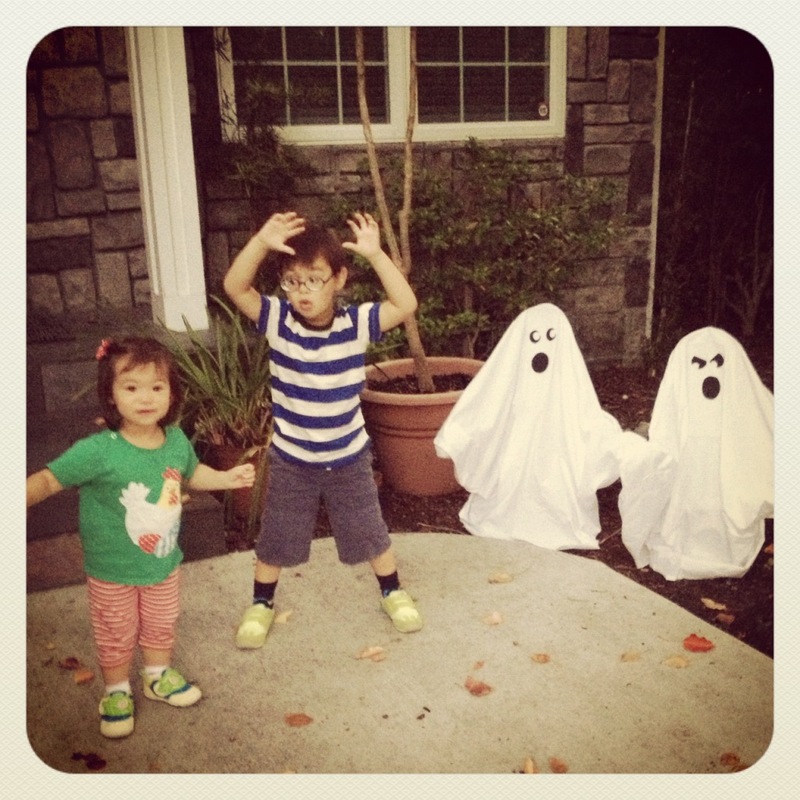 A week before Halloween, we practiced walking around our neighborhood with the kids when it was light out and when it was dark out. We wanted Milo to know what to expect, from getting used to walking in the dark and having decorations lighting around people’s houses. I highly suggest doing this with kids, especially with VI kids because it really helps to minimize his/her’s anxiety and the unknown especially the blinking/flashing decoration lights. We ended up trick-or-treating at 7 houses! We are SO very proud of Milo and he was great about it. We were only going to go to 1 house but we did 7 instead. And he picked the house with very minimal decorations and no flashing lights of any kinds. Matilda did all of those and was very good! We came back to our place and Milo loved passing out candies to everyone and seeing all their costume. We had a great Halloween and I am so proud of my superheroes. 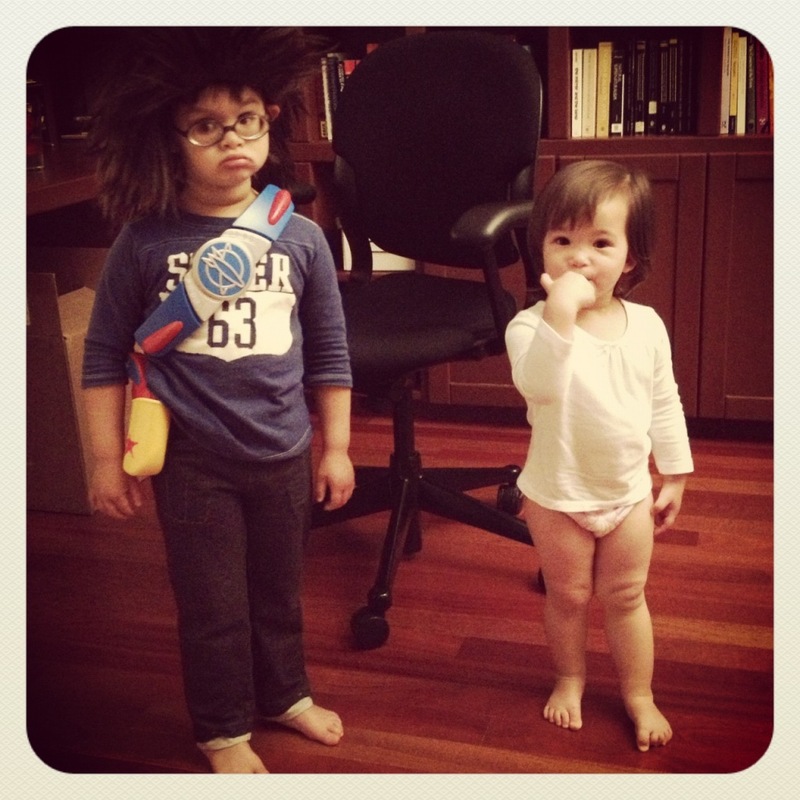 Milo decided to be BatmanWolverine and Matilda insisted on being Foofa on the night of Halloween. But for their school party, Milo was Captain America and Matilda was a garden gnome. 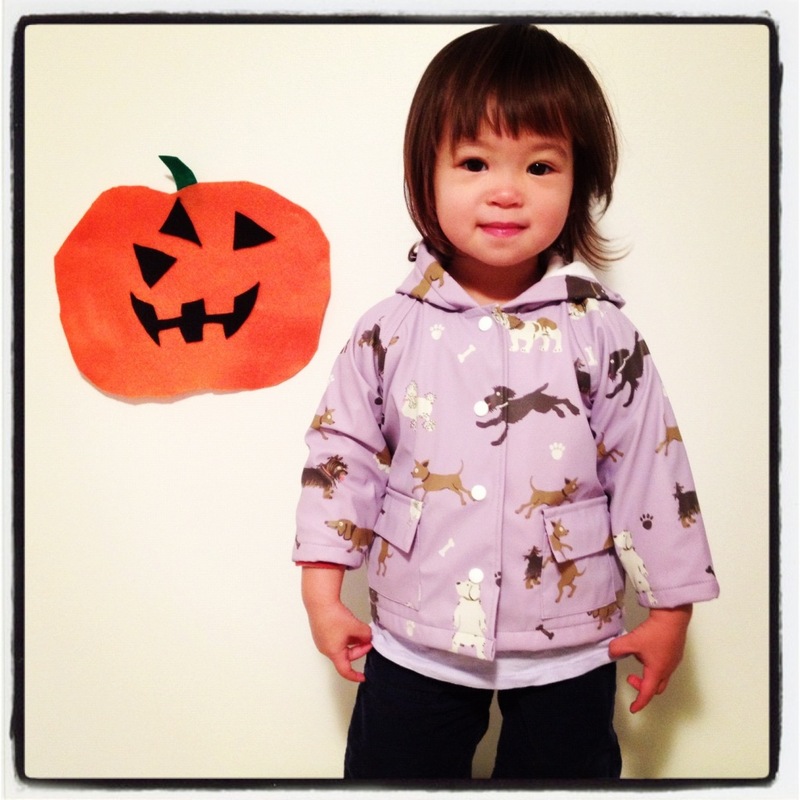 Then again, it’s like Halloween at our home everyday because they love to dress up. This entry was posted in fall season, family, holiday, my little dude, my little girl, my little superheroes, Yo Gabba Gabba by nodesigns. Bookmark the permalink.